Ampt optimizers enable low-cost and high-efficiency DC-coupled storage for PV systems. 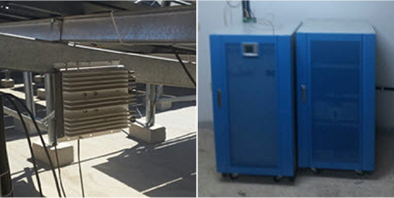 Ampt optimizes both PV systems and DC-coupled storage to deliver unmatched value. 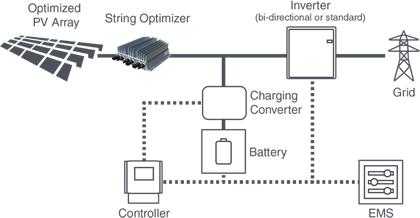 Ampt optimizers allow the DC bus to operate at a higher fixed voltage. 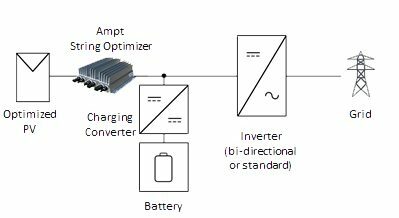 This increases the power density of both the charging converter and inverter to lower equipment cost per watt while increasing the solar+storage system efficiency. Find out how Ampt lowers ESS costs while improving the performance of your PV array.